Becky offers you a recognized track record supported by contract guarantees. Becky has been selling real estate throughout Portland Metro area for over 30 years. She listens carefully to understand your goals and guides you through the entire process of selling your home! Fill out this form for my free home evaluations. This quick and accurate analysis your home is my way of providing homes sales statistics to you, giving you an idea of what your home is worth. Unlike many online systems that use automated valuations modes I personally research and download data that is accurate and current. Registering does not obligate you in any way but just enables you to receive my free home evaluation. All information will remain confidential. Becky’s marketing plan assures your property maximum exposure including entering your home into our Regional Multiple Listing Service (RMLS) making detailed information available to over 10,000 cooperating Realtors in our area, property tours, email flyers to realtors, postcards, personalized website with multiple photos and videos for your property connected to PortlandsCondos.com one the most widely-visited real estate web sites for condos in Portland on the internet. Exposure of your property to buyers all over the world by consistent and effective advertising including submissions to major search engines such as Youtube, twitter, Facebook, Igoogle and many more. With 90% of home buyers looking online this is very important in today’s real estate market! When you list your home with Becky does not mean it is written in stone. I guarantee my work and provide you with two options for canceling your listing at any time. Life has many unforeseen changes which if for some reason you no longer desire to sell your home please just let me know the reason for not wanting to and we can withdraw the listing. Second if you are not pleased with my quality or level of service and there is no pending contract you may cancel the listing by sending me a written communication letting me know what you are not satisfied with. If I am unable to take care of your concerns to your complete approval, then will cancel the listing and agreement and have you sign a cancellation form immediately. This is a no cost cancellation as want my clients to be satisfied with my level of service! My job includes doing 3 things very consistently! Exposing your property and highlighting its benefits to buyers and Realtors. Provide impeccable service throughout the whole listing period. Provide you with prompt, honest and consistent communication. Be a influential negotiator on your behalf and bring your transaction to a successful closing. 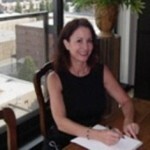 With over 30 years of real estate selling experience assures you of much knowledge, expertise and skill!